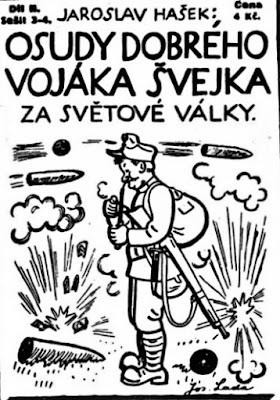 Jaroslav Hašek, The Fateful Adventures of the Good Soldier Švejk During the World War / Osudy dobrého vojáka Švejka za světové války / Los destinos del buen soldado Švejk durante la guerra mundial / Les Aventures du brave soldat Švejk pendant la Grande Guerre / aka The Good Soldier Švejk / (1921-1923). "The silence of the night was reigning over the military camp in Most. In the barracks for the troops the soldiers were shivering from the cold and in the officers' barracks they were opening the windows, because it was overheated in there." 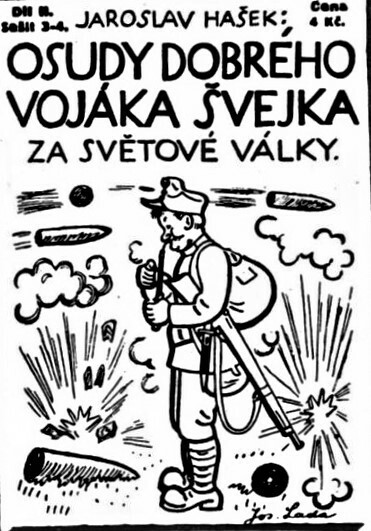 ~~ Jaroslav Hašek, The Fateful Adventures of the Good Soldier Švejk During the World War, Book Two. The Samizdat edition of the new English rendition, translated by Zdeněk "Zenny" Sadloň, AuthorHouse, 2009, page 122. Colonel Schröder is bonkers, but because he's in charge, everyone has to endure his ravings. In this, Colonel Schröder is a stand-in for every madcap, idiotic control-freaking boss anyone has ever had to suffer through. Furthermore, an amazing truth is not the alternating prevalence of SNAFU and FUBAR within any bureaucracy, but that anything functions at all. "He was making no sense, mixing things five after nine, talking about how two months ago the front down below and in the east too had halted, about the importance of exact connection between individual detachments, about toxic gases, about shooting at the enemy airplanes, about supplying the troops in the field, and then he transitioned to the internal situation in the military . . . The majority of the officers was thinking at the same time, 'when is the old geezer going to stop driveling,' but Colonel Schröder was babbling on about new tasks of new march battalions, about the fallen officers of the regiment, about zeppelins, Spanish riders, the oath . 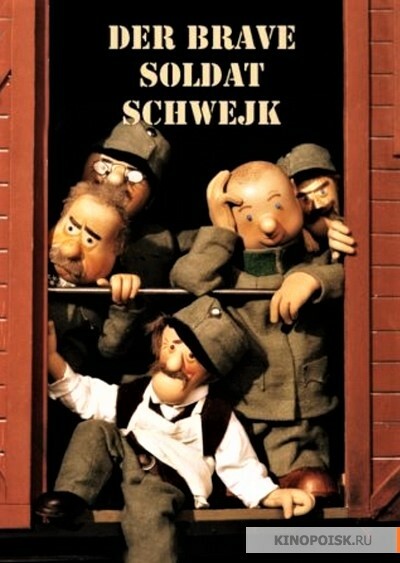 . ."
~~ Jaroslav Hašek, The Fateful Adventures of the Good Soldier Švejk During the World War, Book Two. The Samizdat edition of the new English rendition, translated by Zdeněk "Zenny" Sadloň, AuthorHouse, 2009, page 186. I like the samples you include here.